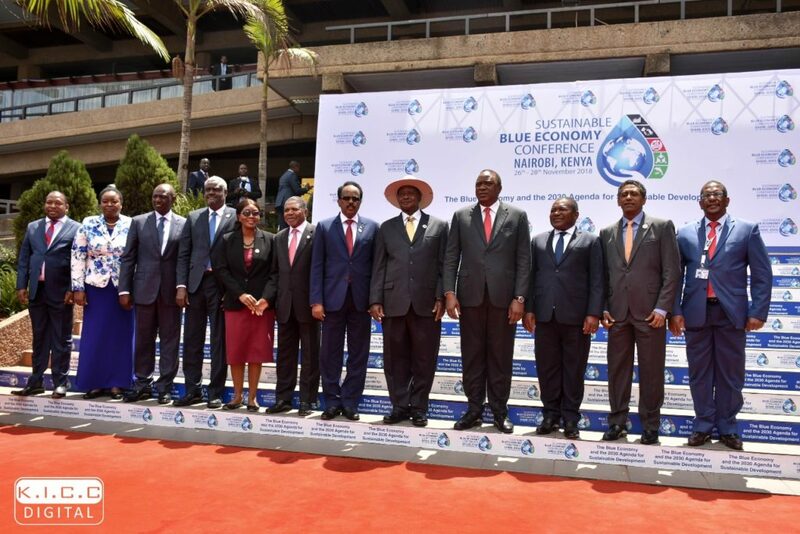 26-28 November, Nairobi, Kenya successfully hosts the first ever Sustainable Blue Economy Conference at the Kenyatta International Conference (KICC) . Over 17,000 participants representing 183 countries and international and regional organizations and agencies attended the three-day conference. President Uhuru Kenyatta, the President of Somalia Mohamed Abdullahi Mohamed, the President of Uganda Yoweri Museveni, the President of Mozamique Filipe Nyusi, the President of Seychelles Danny Faure, the President of Zanzibar Ali Mohamed Shein, African Union Chairperson Moussa Faki and Deputy President William Ruto during the opening of the Sustainable Blue Economy Conference during at KICC, Nairobi. 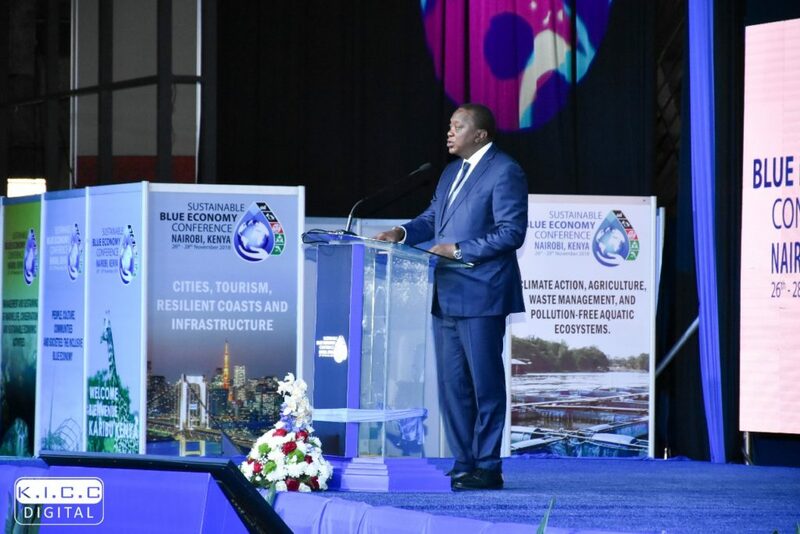 During the official opening of the historic conference H.E President Uhuru Kenyatta pledged that Kenya would adopt appropriate policies, strategies and mechanisms to harness a sustainable Blue Economy.